2016 saw cyber criminals continue to become ever smarter, more efficient and increasingly successful at penetrating industrial networks. Industrial control systems (ICS) operators reported more security incidents to their governing authorities than in any year to date. 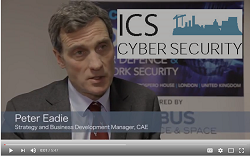 In this video, we talk to cyber security experts about the biggest problems they perceive in the arena now and in the near future, for the critical infrastructure that underpins so much of daily life.